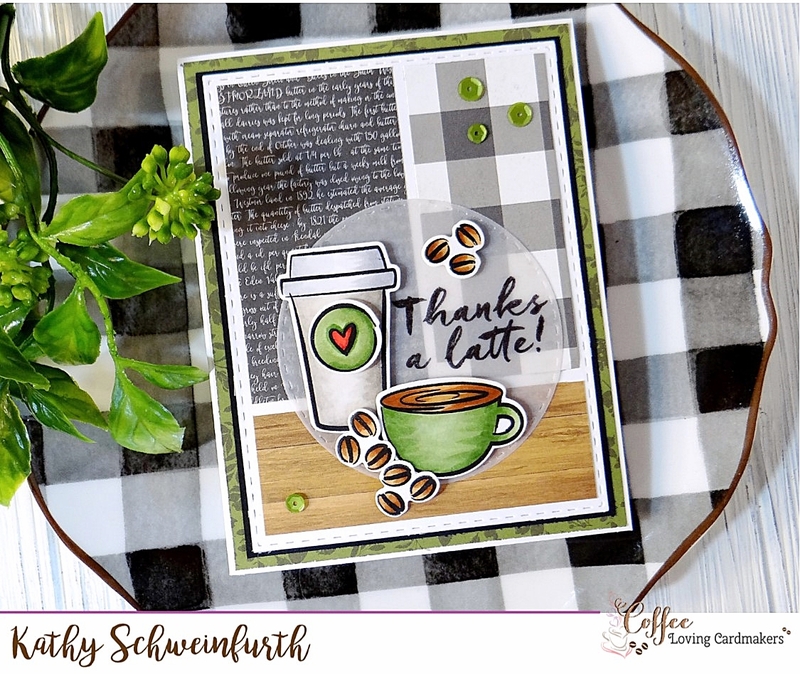 Welcome to the Saturday Coffee Cafe! Grab a cup of your favorite roasted brew and visit for a bit. Recently I was on a business trip to Maine. We stayed at a lovely hotel on the water and the weather was typical New England fall! One night, we were asked to dress in "Autumnal Chic". I must admit, the group wasn't exactly sure what that meant, but we could have taken a 'family picture' because we all came up with the same look -- warm tans, neutral plaids with pops of green and brown! So 'Autumnal Chic' - and the new Essentials challenge over at Ellen Hudson - were the inspiration for my card today! 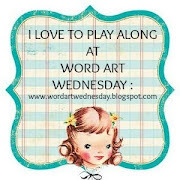 I started by layering several patterns from one of my favorite paper pads from Carta Bella - Welcome Home. 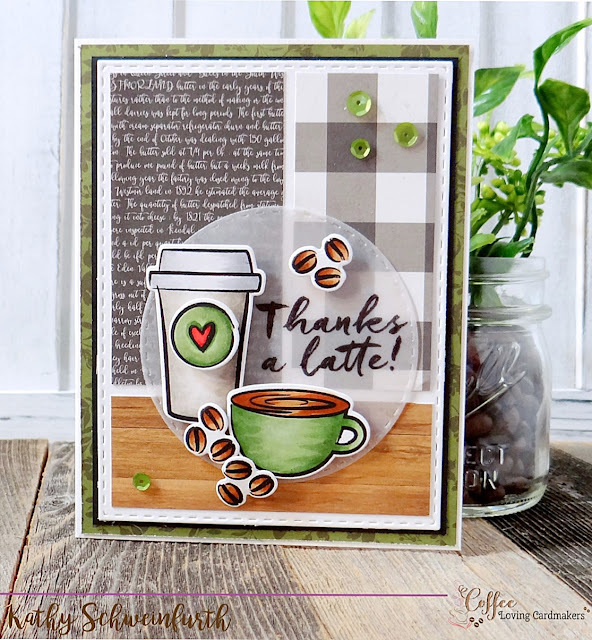 I then stamped and die cut the coffee cup/bean images from an Essentials by Ellen set. The sentiment was stamped on a vellum circle die cut and then the coffee-themed pieces were arranged on it. To finish, I added a few light green sequins. City Crafter - Into The "Woods"
OHH!! as a coffee lover who can't function properly in the mornings without caffeine, I love, love this beautiful card, fabulous pattern papers and the vellum behind your images is a clever detail so they can still be seen. 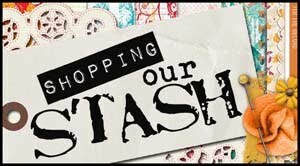 Thank you for sharing this card with us at SHOPPING OUR STASH, hope you come and play again soon. Ohhhhhhhhhhhhhhh I love so many things about this card! The pattern paper (that matches the dish underneath) the vellum layer...awesome!!! Love this card! Ooh, "Autumnal chic..." I like it! Thanks for sharing at SOS this week.